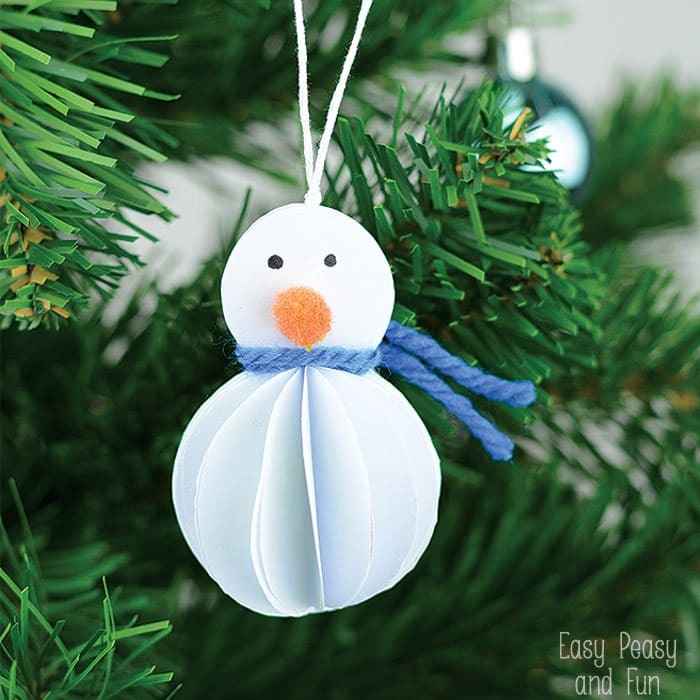 It’s getting colder and colder outside and while we didn’t jet have a chance to make a proper snowman we settled with making this simple paper snowman ornament. 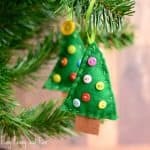 Making unique Christmas ornaments makes the holidays even more special and you can keep them for years to come. 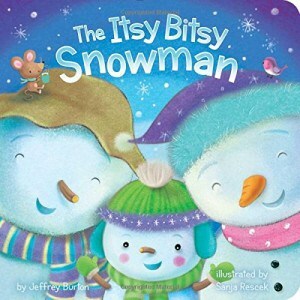 We made this little project to go along with the book Itsy Bitsy Snowman. So this is how we went about it. We folded the paper a few times as this made cutting out the circles a whole lot quicker. Then we traced a circle around duct tape – the outer one for the body and cut out the circles. We got 16 circles – the more there are the prettier the end craft will be – you can adjust the number depending on the age of your child. Next we traced the snowman body – outer circle around duct tape for bottom part and inner for the head. You need to cut two shapes. 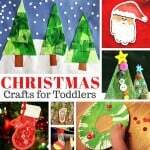 Glue them together with yarn in between. Fold all the circles in half and divide them into two groups (of 8 in our case). 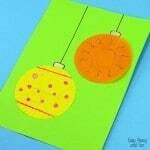 Glue them together – add glue on the half of the circle and glue on another circle. 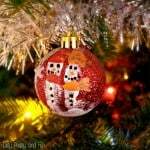 Once all of them are glued together glue it on the snowman. 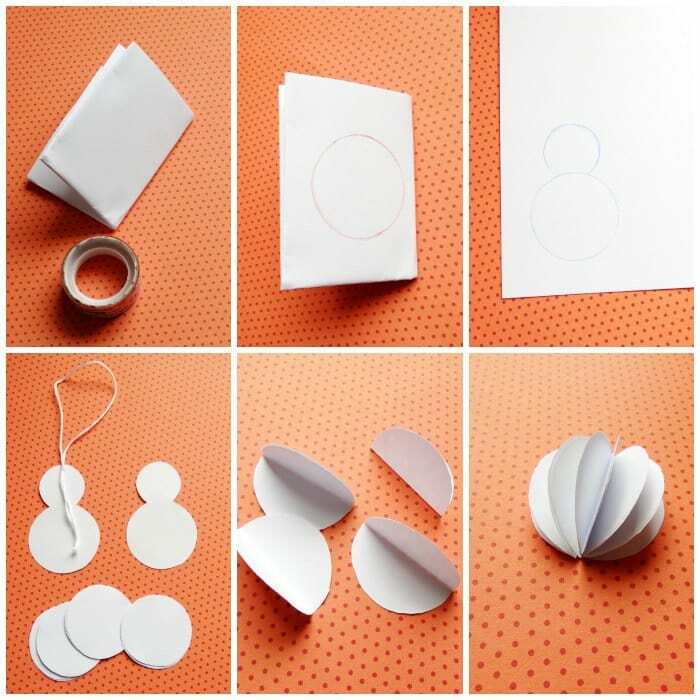 Do the same the other half of circles and glue on the back of the snowman. 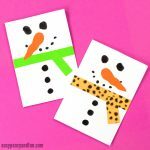 Decorate with yarn (as a scarf), add a pom pom as nose (or draw it) and draw eyes. 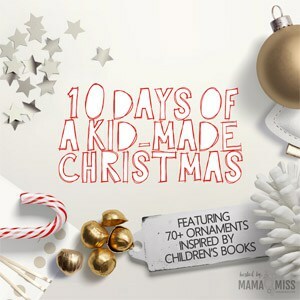 This snowman ornament craft is our contribution to “10 Days Of A Kid Made Christmas” inspired by books held by Melissa from Mama Miss. What a cute snowman. I love the use of mix media. 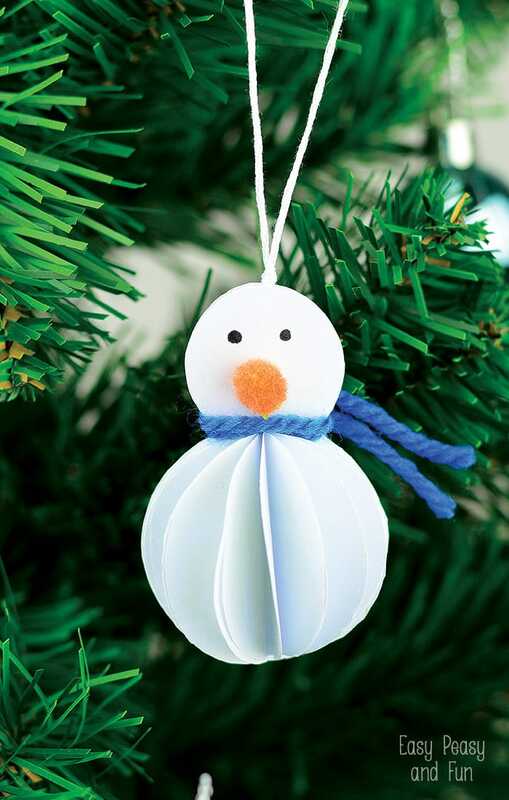 What a super cute snowman ornament. 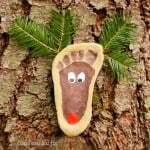 It looks great hanging from the tree! Such a sweet little snowman. Looks easy enough for anyone to make. Clever way to make a snow mans tummy!! Such a great idea!